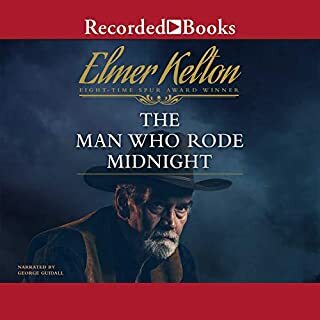 Six-time Spur Award winner Elmer Kelton was named the greatest Western author of all time by the Western Writers of America. In this novel, 18-year-old farmer Trey McLean aspires to be a cattle rancher. 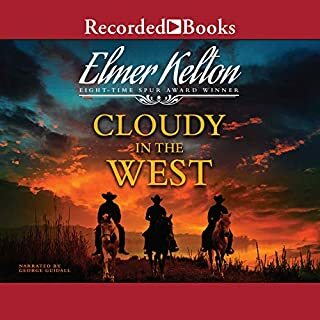 He leaves East Texas with four cows and heads west, but a corrupt sheriff quickly steals the animals. Helpless and confused, Trey finds trouble with a dangerous fugitive. But he also finds comfort and opportunity with a rancher’s lovely daughter. Excellent Western! Every minute interesting. Long Way to Texas brings together three rare Kelton novels, all with Texas roots: Joe Pepper, Long Way to Texas, and Eyes of the Hawk. In 1861, men are enlisting in the Texas Mounted Rifles to keep the land free from Indian raids. There are larger conflicts, however. Texas has seceeded from the union while war brews between the North and the South. Sam Houston Cloud has just joined the Texas Rifles. But he is deeply disturbed by the suffering he sees on all sides: White and Indian, Texan and immigrant. 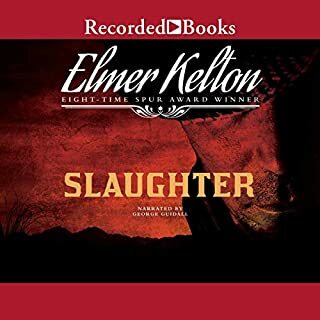 Elmer Kelton has an amazing talent for sweeping away stereotypes and filling his novels with unique, unforgettable men and women who know the ways of the frontier. 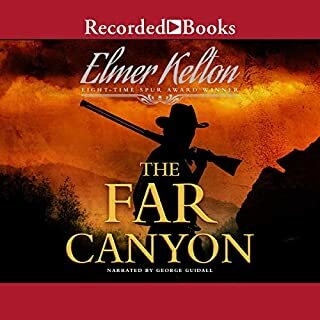 Audie Award-winning narrator George Guidall's performance is superb. By 1873, the great buffalo herds have been all but wiped out, and the hide hunters are looking for other work. So when Gage Jameson hears of one remaining herd, he sees a final opportunity to make a huge profit. But to find the buffalo, he will have to take his line of wagons deep into Comanche territory, where death lurks behind every rock. 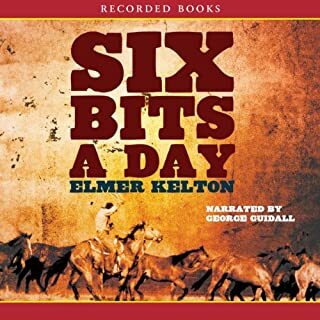 Elmer Kelton, author of over a dozen popular westerns, was named the Greatest Western Writer of All Time by the Western Writers of America. He has won multiple Golden Spur Awards. 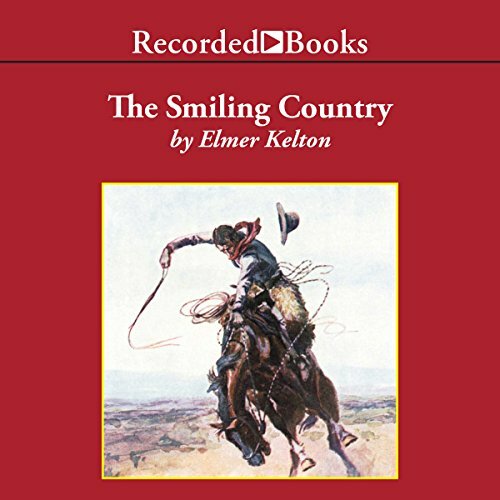 The Smiling Country, filled with pathos and humor, is set in the last days of the Old West. Hewey Calloway may be pushing 45, but he can still rope and outride most things on four legs. Refusing promotions, he prefers to remain a simple ranch hand. But as he rides the West Texas plains, automobiles are beginning to dot the landscape. When Hewey is critically injured by a wild horse, he must admit that his world - and an age - are passing away. Which shines through almost most every character. Those few exceptions belong back East, then and now. This story ties up all of the loose ends for Huey and ends with a surprise. 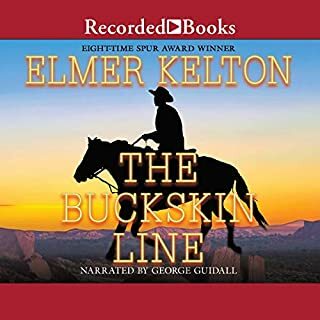 Elmer Kelton's writing brought to life by George Guidall is a magic combination, a worthwhile experience regardless of the story line.